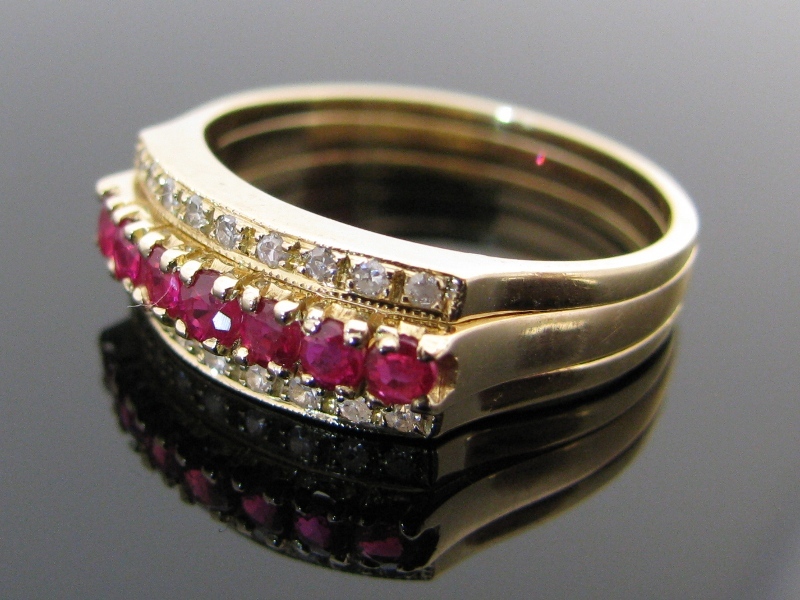 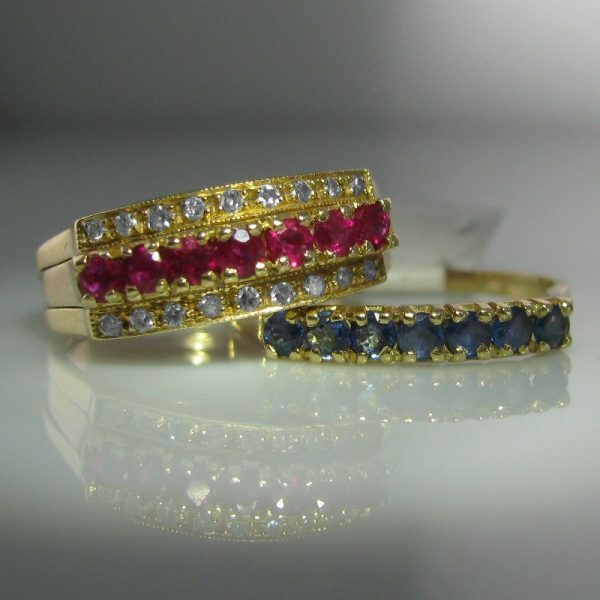 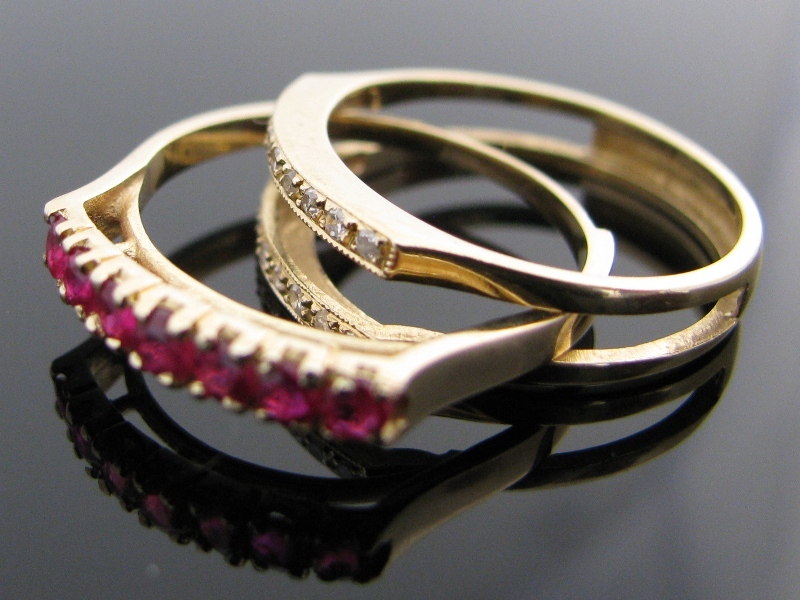 Unique Vintage Diamond, Sapphire and Ruby inter-changeable ring set constructed in 14k yellow gold. 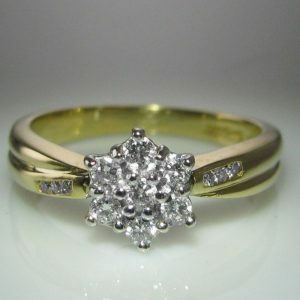 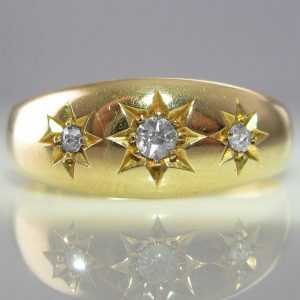 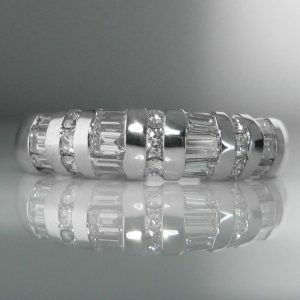 The main ring has a double band of Diamond containing 18 round claw set diamonds with a total carat weight of 0.1cts. 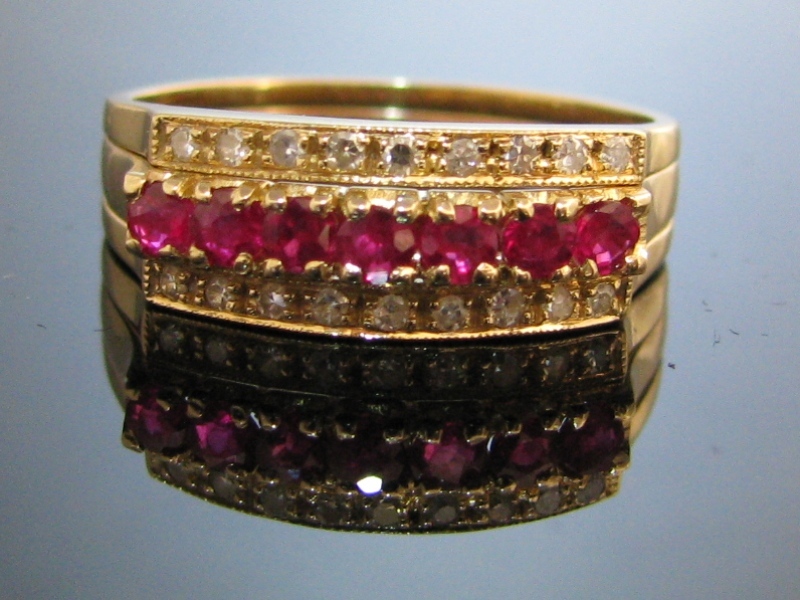 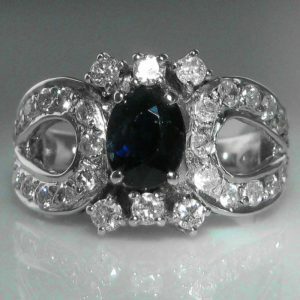 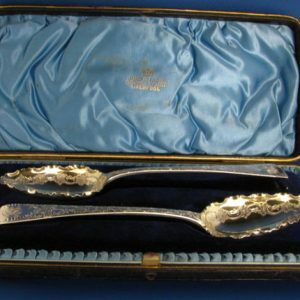 The space in the middle receives either the ruby or sapphire ring. 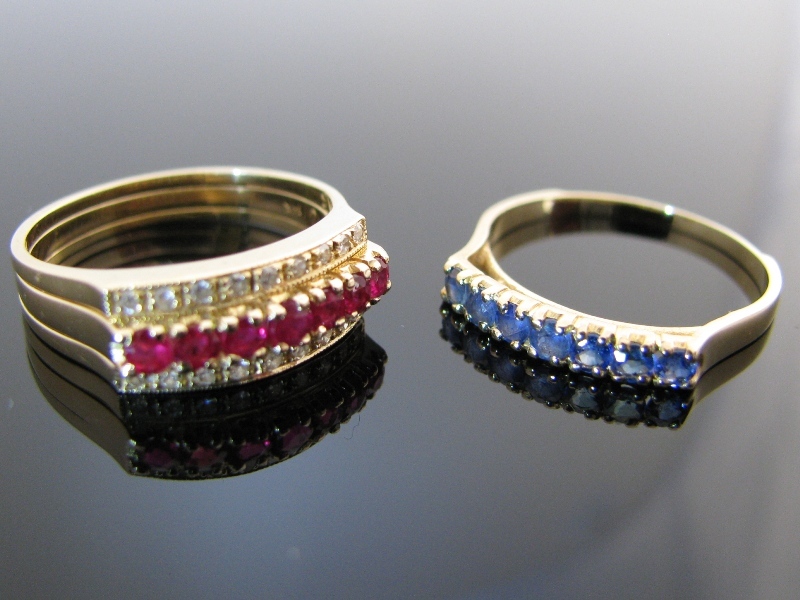 Both the ruby and the sapphire rings have 7 good quality and uniform gemstones each with an estimated carat weight of 0.2cts. 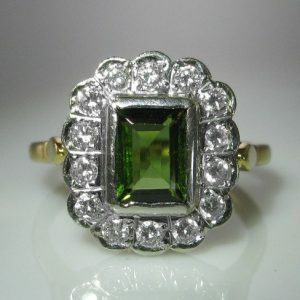 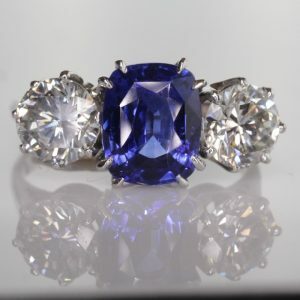 Total Carat Weight of Gemstone in the piece is 0.5cts.